You had us at 10 free nights. That's right, the welcome bonus points offer for The World Of Hyatt Credit Card is up to 50,000 Bonus Points - 25,000 Bonus Points after you spend $3,000 on purchases in the first 3 months from account opening. Plus earn an additional 25,000 Bonus Points after you spend a total of $6,000 on purchases within the first 6 months of account opening. Since free nights start at 5,000 points, the welcome bonus alone is worth up to 10 free nights. Think about the vacation you could enjoy if you didn't have to pay for a hotel! The card also offers extraordinary day-to-day rewards. From nine points per $1 spent on Hyatt purchases to anniversary perks and tiered bonus rewards, The World Of Hyatt Credit Card is a delight for those who travel with this brand often. Although there is a $95 annual fee, the right person for the card will reap benefits that more than pay for the fee. As long as your The World Of Hyatt Credit Card account is in good standing and open, your points won't expire and you’ll enjoy automatic World of Hyatt Elite status. What's not to love about a welcome bonus offer that could be worth as many as 10 free nights at Hyatt hotels? A free night stay at a Category 1-4 hotel after you renew your card each anniversary year, plus the opportunity to earn a second free night if you spend $15,000 in the anniversary year, mean you should be able to more than offset this card's annual fee. Enjoy World of Hyatt Elite status for as long as you're a card member and receive five qualifying night credits toward your next tier status every year. As far as global hotel brands go, Hyatt is fairly small with about 600 hotels spread out over 50 countries. If you're looking for more options, you'll want to look at a hotel card for one of the larger chains. Holy perks, Batman! We love a card and lender who loves its cardholders. With The World Of Hyatt Credit Card, there's not much to dislike. In addition to its amazing welcome offer, the points you earn on a daily basis just by using the card are equally impressive. As an example, you earn nine points total per $1 spent at Hyatt: four bonus points per $1 when you use your card at Hyatt hotels and five points per $1 that you earn as a World of Hyatt member. In addition, you earn two points per $1 spent at restaurants, on airline tickets purchased directly from the airlines, on local transit and commuting, and on fitness club/gym memberships; lastly, you'll earn one point $1 on your other purchases. You also earn one free night every year after your card member anniversary at any Category 1-4 Hyatt hotel or resort, and you can earn an extra free night at any Category 1-4 Hyatt hotel or resort if you spend $15,000 during your card member anniversary year. One more thing: You'll receive five qualifying night credits each year toward your next World of Hyatt tier status and you can earn an additional two qualifying nights each time you spend $5,000 on your card. Phew! We told you the perks were plentiful! The World Of Hyatt Credit Card though chock-full of benefits and bonus rewards, won't be beneficial if you're not near – or traveling near a Hyatt property. With only 600 properties spread across 50 countries, there's not one on every block. It would be a shame to rack up all those bonus points – and potential reward nights – and not be able to use them. If your travel takes you to a variety of places that don't necessarily come close to one of these properties, you'd be better off applying for a generic travel rewards card. Let's also not forget the $95 annual fee. Again, if you're not totally loyal to the Hyatt, the fee is not worth it. The question here is where does your loyalty lie? You have brand versus brand, with similar welcome rewards – Hyatt offers a bonus reward opportunity of up to 50,000 points (25,000 after you spend $3,000 in the first three months and another 25,000 points after spending $6,000 total in the first six months) worth as many as 10 free nights; Marriott offers the ability to earn 75,000 bonus points after you spend $3,000 on purchases in the first 3 months from account-opening, plus automatic Silver Elite Status each account anniversary year. Then, new in 2019, get 15 Elite Night Credits each calendar year. Both offer higher points within the brand itself: Hyatt offers nine points for every $1 spent within its brand; Marriott offers 6X points for every $1 spent within its brand and at SPG® hotels and 2X points for every $1 spent on all other purchases. Lastly, the cards carry the same annual fee. So, as you can see, it comes down to personal preference. Do you prefer the Hyatt or do you prefer the Marriott? Perhaps the biggest factor that stands out between the two is the Marriott Rewards® Premier Plus Credit Card lets you redeem points for stays at more than 6,700 Marriott Bonvoy™ locations. That includes Four Points by Sheraton, Sheraton hotels, W Hotels and Westin hotels. The World Of Hyatt Credit Card allows you to redeem points for stays at its properties, too, but they only number around 600 worldwide. When comparing these two cards, brand loyalty doesn't seem to have a high stake. But look a little closer and you'll see where rivalry can play a part in choosing between the Chase Sapphire Preferred® Card and The World Of Hyatt Credit Card. If you're the type of traveler who spends a lot of money and time at the Hyatt, your choice would be clear: The World Of Hyatt Credit Card, where you would earn nine points per $1 spent on with the brand. If you're the type of traveler who likes to stay at the Hyatt occasionally, you might consider the Chase Sapphire Preferred® Card, realizing that the choice doesn’t mean you can’t earn reward nights at Hyatt properties. That’s because Hyatt is a hotel partner for the Chase Ultimate Rewards® program, so you can transfer the points earned with the Chase Sapphire Preferred® Card to your World of Hyatt loyalty account at a 1:1 value. Plus, you'll earn 60,000 bonus points after spending $4,000 in the first three months. 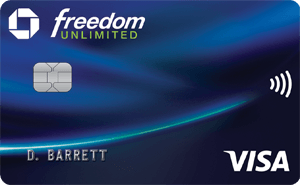 The Chase Sapphire Preferred® Card charges a $95 annual fee. 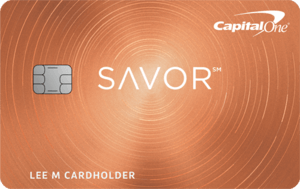 Overall, the Chase Sapphire Preferred® Card is a flexible and extremely popular travel rewards card. If you're looking for flexibility and general rewards, this may be a better bet for you. If you truly are brand-loyal to Hyatt, you might appreciate the loyalty perks with The World Of Hyatt Credit Card. The Capital One® Venture® Rewards Credit Card offers perks without being tied down to one brand. One of its benefits includes 10 miles per $1 spent on prepaid hotels booked through Hotels.com/Venture, which means this could be a lucrative choice for you even if you are super-loyal to Hyatt. You’ll also earn two miles per $1 spent on all your other purchases. While they both offer one-time bonus rewards, the more lucrative card is The World Of Hyatt Credit Card, where you can earn up to 10 free nights if you spend enough to qualify for the full 50,000-point welcome bonus. With the Capital One® Venture® Rewards Credit Card, if you spend $3,000 in the first three months that the account is open, you receive a one-time reward of 50,000 points, which is worth up to $500 in travel rewards. It’s a great offer, but probably not as good as the Hyatt reward if you figure a hotel stay is likely at least $75 (or more!) per night. Then again, you can also fly any airline, stay at any hotel, anytime and not have to worry about blackout dates. Plus, you can transfer your miles to over 12 leading travel loyalty programs. That's another really nice offer. Something else that sets the cards apart is the annual fees: The Capital One® Venture® Rewards Credit Cardcarries a $95 annual fee, but it’s waived for the first year; The World Of Hyatt Credit Card doesn’t waive the fee for the first year. The best applicant for The World Of Hyatt Credit Card is a person who travels regularly and is loyal to Hyatt hotels and resorts. This person will rake in the points not just for their stays at Hyatt properties but also for their everyday spending. his all adds up to more nights at Hyatt all earned through purchases you’d be making anyway.